If you're primarily doing business with individuals, then you'll list a range of ages. For example, you can write something as generic as "between 18 and 25." Don't pull that number out of nowhere though. You'll take a different approach to marketing to an 18 year old, then you would a 45 year old. It should be based on researching the demographics of customers in your market. If you cast your net too wide, such as "between 18 and 45," you'll dilute your marketing message. Your customer may be other businesses, and you can list the "age" of the business as well. For example, you can write "start up" to indicate that you customers are businesses who have not yet launched, or have been in business for less than a year. Age matters in marketing, and so does gender. You need to know the primary gender of your customers, so you'll know how to effectively market and sell to them. For example, if your customers are primarily women, you wouldn't want to turn most of them off by your website that's clearly marketed to men. Your customers will go find your competitors, who have the wisdom to choose a color scheme, pictures and graphics that speak to women. If you're marketing to both men and women, include a percent breakdown, such as "60% women, 40% men." 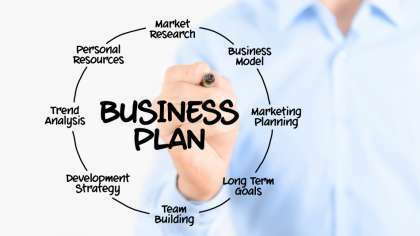 Knowing the geographic location of your customers when writing a business plan will help you develop a marketing plan. For example, it's too costly to attempt direct mail advertising to global customers, but you might consider it if the geographic location is local. Your customers have to be able to pay for your products or services, or you'll end up writing a business plan for a hobby. Knowing the average household income can help you draw conclusions as to how to price your products and services, as well as the purchasing power of your customers. For example, if you're a life coach who charges $100 per hour, you may have a hard time making a living if the customers you're targeting in your plan have an average household income "between $20,000 and $35,000." You would target customers with an average income "between $60,000 and $150,000" instead. It's beneficial to write your customer profile first when writing a business plan. You'll find it easier to write the other sections when you know the customer you want to target.